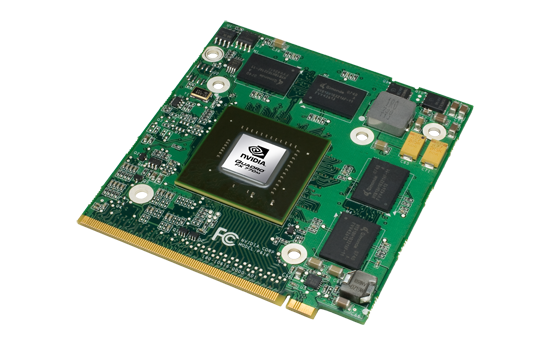 The Quadro FX 770M is a professional midrange graphics adapter for laptops / mobile workstations. The GPU is optimized for professional 2D and 3D applications like CAD, DCC, and visualization software. The FX770M solutions contains certified graphics drivers for the most popular applications. The GPU chip of the Quadro FX770M is based on the GeForce 9600M GT consumer card for notebooks. Therefore, the Quadro has the same features (like the PureVideo HD video-processor) as the 9600M GT. The performance of the card should be compareable to the 9600M GT. Still some games may run slower, as the drivers are optimized for applications and OpenGL. Especially the OpenGL performance is way better than with an 9600M GT. The Cinebench R10 OpenGL test shows up to twize the performance with a FX 770M compared to a GeForce 9600M GT. As all cards of the GeForce 9000M series, the 770M support CUDA.